Here’s a loving, liquid relationship that’s so high on emotional resonance, it’s almost psychic. Sun in Cancer will nurture the bond, while Moon in Pisces supplies the magic that will give this partnership a little extra. Sun in Cancer’s empathetic nature (combined with his goal of nurturing his partner) means that he often feels his lover’s pain. And he’ll rush to make it all better. This makes him a motivated caregiver, but it also means that he’ll insist on mothering when he’s not wanted. His partner will do best to remember that Sun in Cancer’s purpose is to be needed. And if he’s not needed, he’ll try to create a scenario where he is. Moon in Pisces needs safe magic. This fragile Moon is so porous that she can confuse her partner’s feelings for her own. Therefore, it’s essential that her lover respect her ability to give (sometimes to the point of martyrdom) and not take advantage of her. Moon in Pisces feels safest in a relationship that allows her to drift away when she requires solitude. At the same time, her lover must provide a connection that goes beyond the day-to-day world. 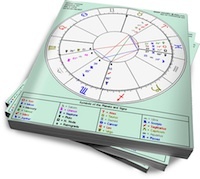 Cardinal Cancer will take the lead here, bustling in and surrounding his Pisces Princess with emotional protection. Moon in Pisces will feel safe, and will make sure Cancer knows what an excellent job he’s doing (and how much she needs him). These two will create an intuitive feedback loop, as they sense and respond to each other’s needs. They may get to the point where they just “know” what the other person is thinking or feeling. The only downfall is if one of them is having a bad day, the other will pick up on this and take it as a personal affront. A good dose of grounding earth or detached air in their charts would be helpful to balance things out. This is amazing I’ll tell you this scary accurate! I’ve searched all over for why is paring I’m in has psychic elements.